Students who are 16-19 years of age and travel to school using public transport are entitled to a secondary student concession on their AT HOP card. If you currently travel with a secondary student concession, it’s due to expire on 31 March 2015. After this date if you haven’t renewed the concession on your card, you will be charged adult fares. 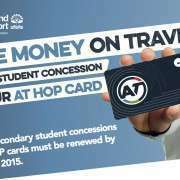 AT HOP is a reusable prepay smart card for travel on trains, ferries and buses around Auckland. 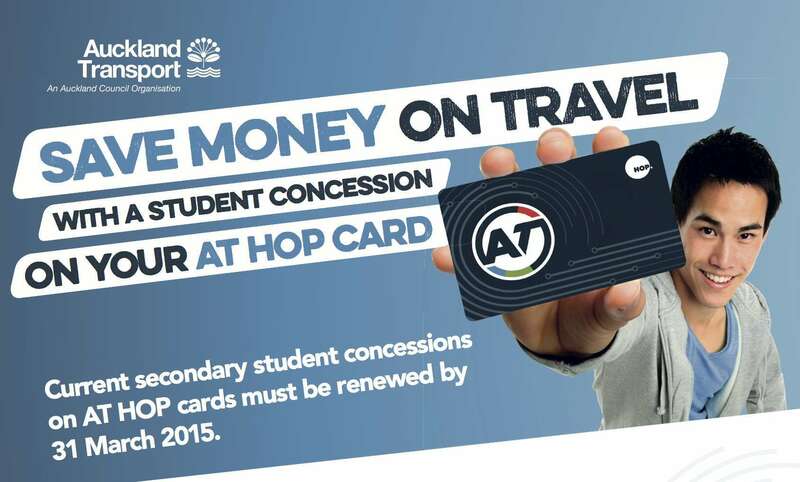 Visit Auckland Transport for full information about how to purchase and/or renew your ATHOP concession card.